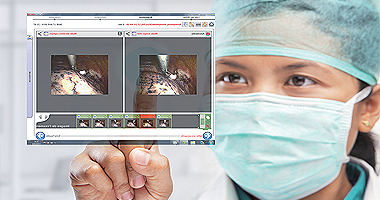 Yansys Medical is an innovative French company and medical software editor (5829C). The company was established in January 2006. The company’s development is based on three innovative, all-encompassing and complementary approaches to provide our customers with significant productivity gains (cost/performance ratio) with high quality in use (optimal traceability and quality controls). Quality, quantity and profitability in healthcare: we demonstrate every day that it is possible ! The company has a share capital of 142,500 Euros. It is experiencing a double-digit growth, with no operational difficulty since its creation. The company is now moving towards ISO standardization and the rigorous application of its processes within the framework of good clinical practices (BPC – system validation policies, data confidentiality, risk management, operational qualifications). In 2017 Yansys started an export strategy, by packaging its solutions in 5 languages. Yansys Medical designs innovative solutions to assist surgeons and endoscopists in their daily operations. The objective is threefold. The first involves a strong traceability of image data and associated metadata with a delivery of quality information as quickly as possible. The second objective aims to assist using augmented reality (image measurements, 3D reconstruction) or soon, artificial intelligence processes. The last objective is educational or telemedicine, with real-time or deferred broadcasting of surgery and the implementation of decision support infrastructures. Yansys Medical has extensive expertise in the collection of medical data, both for monitoring and statistical purposes. The collection is carried out on a SaaS infrastructure, either by controlled entry of structured data (specialized e-health platform) or by voice (dictation and recognition). The data collected can thus patient cohorts for the implementation of clinical studies or produce structured documents, from illustrated reports to medical synthesis (HAS). All collection and distribution processes are standardized according to compliance with Good Clinical Practice. To fit our customers’ requests, Yansys Medical has been developing the Medwork® medical network for several years. This is to centralize multimedia data collected by our systems or third parties, and will pave the way for telemedicine. This network has a highly secure, easy-to-use messaging system, not installed on the workstation, for use with experts or patients (RGPD compliance). 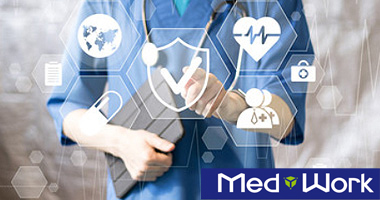 Medwork® is also the perfect software infrastructure for the rapid implementation of a clinical study with data our managers, a center of expertise, or a staff management tool.